Foundation is a Simulation and Strategy game for PC published by Polymorph Games in 2018. It’s the time to create your own village in medieval ages. There are lots of parameters that you have to know about ruling a village at this age. You will learn how to do it in tutorial parts at first. Foundation is a grid-less, sprawling medieval city building simulation with a heavy focus on organic development and monument creation. In this strategy city-builder economy simulation game, players must create a prosperous settlement as the newly appointed lord of a region untouched by man. Setting to redefine the city-builder genre, Foundation puts the emphasis on the organic aspects of urbanism in the cities of old, powered by Polymorph Games’ proprietary game engine, Hurricane, which allows for full mod support and is optimized for the thousands of moving parts that come with building humongous cities. Among other things, the engine provides the player with robust building tools to create countless unique monuments that can then integrated into your settlement. With medieval architecture and urbanism at the forefront of its design, Foundation’s vision is to allow players to recreate cities of that period as they envision them or even as they really were. Grow your untapped land into a great sprawling kingdom as you appease the political factions of your area, all while listening to a beautiful original soundtrack by the veteran composers who’ve created music for Paradox Interactive’s Crusader Kings II, Europa Universalis IV and The Guild 2-3 games! 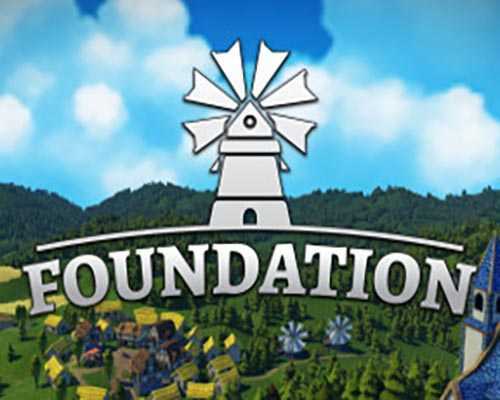 It’s good to know that Foundation is inspired by the game like Simcity, Crusader Kings and Europa Universalis. If you like to have a great city, Don’t miss the time. 14 Comments ON " Foundation PC Game Free Download "
If the game starts and you can’t see the window on your screen but can see it in your task bar, ALT+TAB and select the window, then ALT+SPACE and hit the M key to move the window, then press the up arrow key, then you should be able to move the window to where you can see it. The password “freegamesdl.net” does NOT work. It works fine for me ! thanks, I just want to try hit before purchase. It shows some dlls missing and when I downloaded those dlls and fixed the error it shows error message 0xc000007b. Please help me. So should I download only the last version (1.1.6) or all the versions and install in order of release?